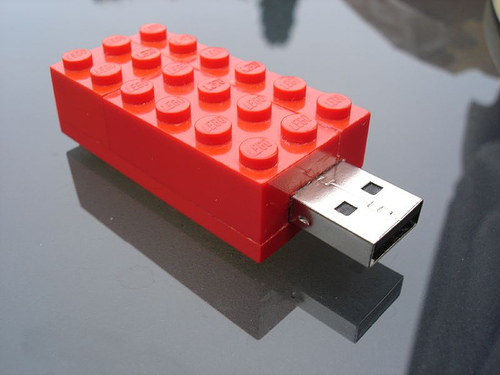 This custom thumb drive was creatively constructed using toy lego pieces. It would be fun to see what could be built with a hand full. This piece was crafted by hand just for fun. Interesting enough, it would make a great marketing campaign. Personalized USB Flash Drives are handy little memory sticks for file sharing and traveling. Load it with catalogs or advertising literature for a convenient, compact and innovative way to get information to a client.